About ten miles north of Concord, New Hampshire, off of interstate 93 there’s a little island with a great, big monument on it. 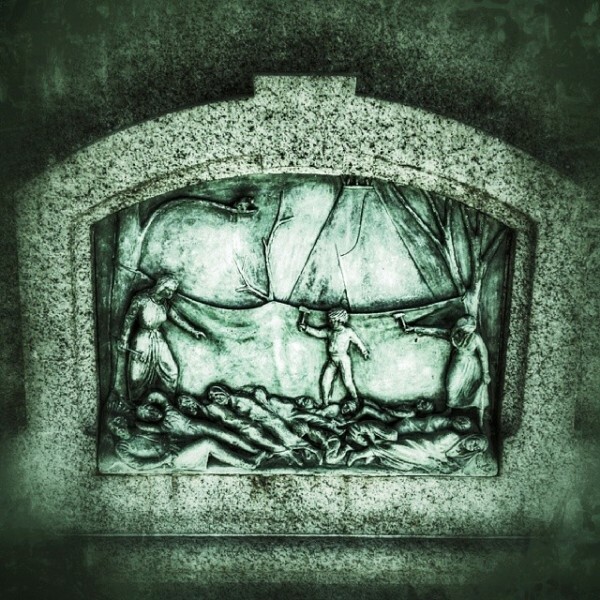 It’s hard to see in the above picture, but easier to see here that the monument depicts a woman, who is holding a hatchet in her right hand and bunch of scalps in her left hand. 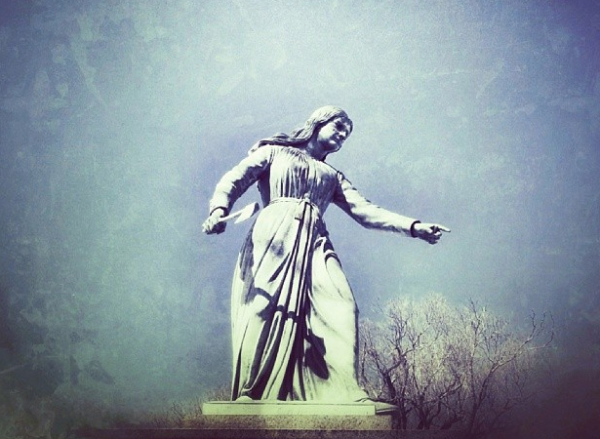 When it was erected in 1874, this was the first statue to honor a woman in the United States. But despite this historic status, the monument is controversial because of the woman it memorializes and what she did. The monument’s inscription. Image courtesy of Andree Sanborn, Barton, VT. 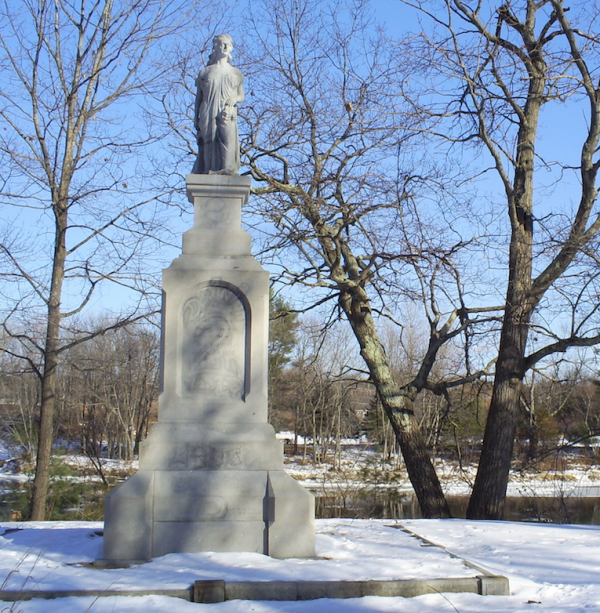 The woman in the monument is Hannah Duston and in 1697 she was living in Haverhill, Massachusetts when she, her infant daughter and her nurse-maid, Mary Neff were kidnapped by a band of Abenaki Native Americans. The three were marched north and at some point Hannah’s infant daughter was killed by the Abenakis. 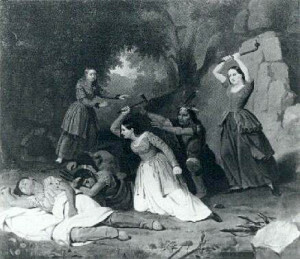 They stopped for the night in Boscawen, New Hampshire (on the island above with the monument) and while the Abenaki families slept, Hannah and her companions killed ten of them – including six children – and then scalped each victim before making their escape back to Haverhill. After she returned home, Duston and her husband traveled to Boston where she told her story to a Puritan minister named Cotton Mather. Mather wrote it down and told it to rapt church-goers throughout the colonies. 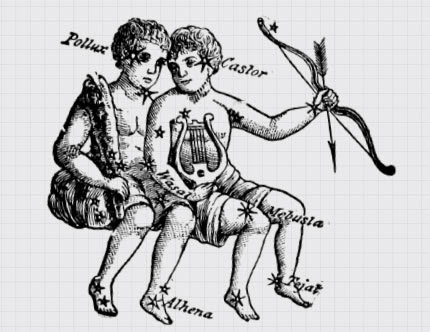 Mather’s account of Duston’s story can be read in full here. Hannah Duston’s story was revived again in the 1800’s during the era of “Manifest Destiny” by writers such as Henry David Thoreau and John Greenleaf Wittier who were looking to tell the stories of American heroes and heroines. 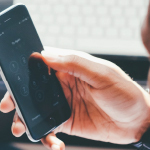 But as the original Cotton Mather version of the story was rewritten and retold, people changed the narrative to suit their purposes — often omitting the part of the story in which Duston and her companions kill the sleeping children. 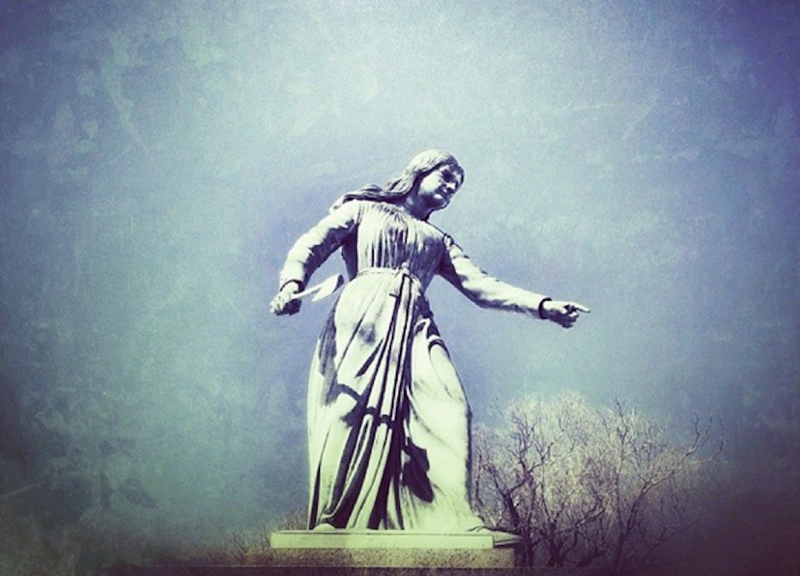 In 1879 another Duston monument was erected in Haverhill, Massachusetts showing a more fierce Hannah Duston. In addition to the monuments, there are landmarks in her name — — memorial boulders, streets, a nursing home. There are kitschy items like this Hannah Duston whiskey decanter, commissioned by Jim Beam in the 1970s, as well as a Hannah Duston bobble-head, which you can still purchase at the New Hampshire Historical Society museum store. These items are offensive to some people who know the whole story, as are the monuments in Boscawen and Haverhill. The monument in Boscawen is often covered in graffiti; Duston’s nose has been shot off with a rifle. Every few years someone proposes to tear it down, or clean it up, or amend the signage to tell more of the history. With every proposal comes a public argument. Is she a heroine, or is she a villain? The debate continues, but for now, the monument on the island remains neglected and crumbling. It’s fitting, too, as that’s probably the most accurate symbol of how people feel about Hannah Duston today — ambivalent about who she was, but not quite ready to let her go. Producer Jack Rodolico spoke with Tom Spitaleri, Barbara Cutter, Cedric Dustin and Paul Pouliot. Kickstarter sponsor: My Gift of Grace. 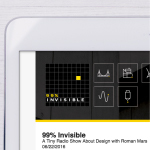 Use the the coupon code “invisible” to save 10%. 99pi favorite, OK Ikumi has a new album called “Outside” that’s excellent. If you don’t have it, or his 2012 release “Alpine Sequences,” you should really rectify your error. @2.41: it’s already clear to me just browsing (not even reading) the text that this monument has to go. Take a picture put it in a book on human misunderstanding or racism ant pull it down. Nothing good will come out of letting it stay. It has to go. @8:48: might feel offensive? I mean I’m not even a US citizen and I can see how this is turning out to be a big problem. I’m waiting at this moment for at least a background piece on the original settlers vs natives problem to give some perspective. Still hopeful though…let’s continue shall we. @17.36. Bingo! Ok. My 5 cents is that the island should be rethought to a memorial about people. As dark as the American colonization story is, it has become part of American history and if not dealt with properly will only continue to cause tension and more misunderstanding. Not to mention, her infant child was killed by her kidnappers. You can be damned sure that regardless of race or ethnic background, if you did this to me and my family, you’d wind up without scalps, too. Letting your kids watch doctor who Roman? I approve. I knew exactly what this episode was about when I read the description in itunes. Check out the greatest tour guide ever written for more New England curiosities. While I found the subject extremely interesting, I must admit that I was very confused by the tenor of this episode. There are literally thousands of monuments, carved in the grandest style, maintained by our park services, and visited by countless tourists each year, to secessionist armies who fought a war to establish a nation that would preserve the institution of slavery. Despite their motivations, there would be public outcry at the notion of tearing down one of these monuments in response to the cause that it represents. While the intervening centuries have certainly clouded our understanding of Hannah Duston’s plight, it seems that even her detractors concede that she was taken against her will and, regardless of how it happened, an infant died as a result of this captivity. While the regrettable chapters in the European incursion into North America are myriad, Mrs. Duston was an unwilling participant in this conflict who suffered the loss of a child at the hands of her captor. Her decision to scalp her captors is certainly macabre, but it in no way exonerates her kidnappers. Furthermore, the notion offered at the end of the episode that the lives of those taken as slaves by Native Americans were generally pleasant left me with the uneasy echo of the “plantation fantasy” so often used to justify slavery in southern states. That seems to be the natural retreating point for those who wish to the defend the practice. I can understand the reluctance to call Hanna Duston heroic in this day and age, but it seems a bit hyperbolic to ask whether she is “a hero or villain”, as the piece does. She slew and escaped her captors. What is villainous about that? If the women kidnapped in Columbus recently had slain their captors, would anyone consider that villainous? every human community and settlement in history displaced other humans. your ancestors and mine are trespassers. no one is innocent nor at fault. I suggest changing the lead photo to one of the actual monument in question, not the one in MA. Misleading, esp. 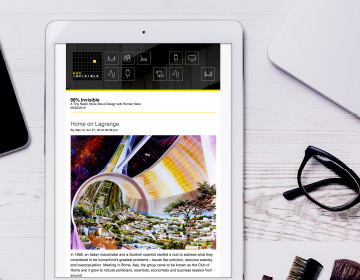 for slackers who only glance at the article. I am so glad this topic was approached the way it was. Both sides heard and recognized fairly in my opinion. Maybe 99pi should do some workshops with other shows to help them understand how to properly discuss controversial topics. Radiolab! Hannah Dustin is one of my ancestors. When the Indians attacked their farm, she sent her husband and older children to the safety of the village, where she and her newborn baby could not go. She had just given birth. That is why she had a “nurse maid”, who may have been one of Hannah’s sisters. The Indians killed her baby by smashing its skull against a tree. She saw that happen, we have to assume. There was a teenaged boy in the group who had already been kidnapped.The three kidnap victims killed everyone in the camp except for two Indians who escaped. They took the scalps to prove what happened. I find it pretty easy to understand why they did what they did. If someone brutally murdered my baby, kidnapped me, and dragged me away for God knows what purpose, if I had the strength I would not hesitate to kill my captors to get free of them. My concern for the Indian children would be tempered by their lack of concern for my baby. She demonstrated to this group of Indians that even the women will fight you if you continue these attacks. And it worked. That was the last Indian attack on that village. Hannah Dustin did not start this problem. She was born in North America, She did not choose to come here instead of staying in Europe any more than anyone else born here chooses. She did not get on a horse and go off chasing Native Americans. She defended herself. None of it would have occurred if she had not been kidnapped and had her baby brutally murdered. It may be easy to sit here today and find fault with her, but who among us has ever had to endure what she did? she is my son’s great x4 grandmother! Hannah Dustin did not need to kill six children. This is most often excused by the stories of her own infant being allegedly “smashed against a tree”. 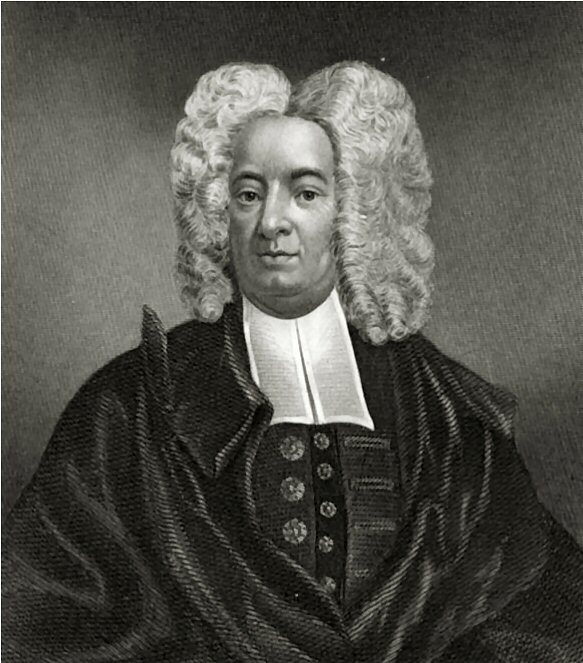 Many seem to think this was a false embellishment on the part of Cotton Mather in his retellings. Yet let us assume it happened this way. In modern America we would forgive the temporary insanity of a grieving mother if her response was immediate. If Hannah Dustin immediately grabbed a weapon upon seeing her child killed and swung it I could understand. But she waited. Then with forethought and premeditation she killed not only her kidnappers but their six children…all in their sleep. No court in the land today would allow such a woman to go free, even if her victims were non-whites. And no moral or objective person should think such crimes would best be left unpunished, let alone glorified in stone. I drive by this monument and its island nearly every day. It is disgusting. To read of what the plaque says and that she holds scalps in her hand makes it only that much more so. I do not care that it was the first statue of a woman, and anyone who does is using sexism to excuse racist barbarism. It should be smashed to dust. The dust should then be swallowed by a goat who’s excrement is burned, with the ashes ultimately being launched directly into the sun. This is how we should honor Hannah Dustin and those who would memorialize her savagery. I’ll get some hammers and meet you all there! I am impressed by your ability to use technology at your advanced age. From your comments I have to assume you were an eye wtness to this kidnapping. Otherwise, how would you know what method was used to murder Hannah’s infant? And if they used some other method would that murder be okay? I want to point out several flaws in your argument. First, you assume that Hannah killed the children. All three captives took part in killing their captors. We do not know who killed which of the kidnappers. Second, one of the captives was himself a child. His captors taught him to use a tommahawk. He taught Hannah and her nurse. Third, if the Indians taught a kidnap victim to use a tommahawk, don’t you think they taught their own children? Fourth, historically it keeps occurring that when a group of people turns their children into combatants, their children get killed. This goes all the way back to the Crusades,.and I am.sure beyond. Hannah Dustin did not get kidnapped in 2014. To use our present day sensibilities to evaluate the choices these three people made in a life or death situation is really pretty cruel.in itself. Never having had my infant child ripped from my arms and killed, followed by witnessing the torture.and murder of.other kindnap victims, I cannot know what I would have done or been able to do. 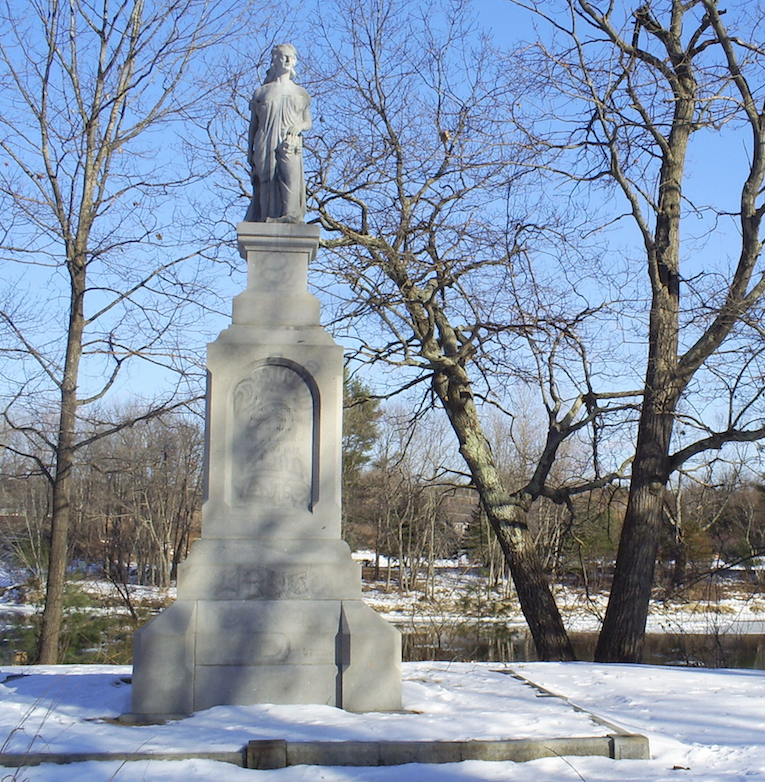 I do know that if the French and Indian raids on Haverhill,.had not occurred, no statue to Hannah would have been erected. The “smashed against a tree” thing is common lore. You’d know that if you had read anything more than this article on the subject, which I strongly suggest. And you clearly missed the point. The woman and her cohorts killed six children. It is practically inconceivable that this was necessary to her escape. You seem to be saying that it was okay because “sensibilities” of the time were different. In other words it’s okay because Hannah and all like her believed the Indians were savages to be cut down like animals. Nevermind what was done to the Abenaki to prompt the raid at Haverhill in the first place, huh? You can’t just use the racism of the time to excuse acts of unnecessary barbarism against children. In fact no matter what happened to Hannah and the others you cannot excuse the premeditated murder of half a dozen children in their sleep. To try to do so makes you no better than any of the child killers in this scenario. Anyway it sounds like you are the one who was there since you have turned these children into combatants. But the fact is that if you superimpose this into modern times, even under conditions of war, it becomes clear this woman was a monster and not a hero. Saying “it’s okay because everybody back then was monsters and didn’t know better yet” is downright stupid. That gives anybody license for any bad thing they want to do knowing history will excuse them as ignorant of the morality involved. I don’t care that it was the 1600’s. That is no excuse for treating people like animals. What you fail most of all to appreciate is the bigger picture. Why did the Abenaki raid Haverhill and kill 27 people? You would believe what the history books tell you, that they were blood-loving savages. Hannah Dustin and her family were invaders and occupiers. Abenakis and the other tribes of the Wabanaki confederacy fought wars long before white men came. But it was the white invaders who first introduced them to killing women, children and the elderly in the process. I recommend reading of the Naraganset and Mohegan’s response to Mason’s raid (aka “The Mystic Massacre”). I recommend reading of the peaceful Pennacook lead by Passaconaway and Wanolancet and what the whites did to them. Arguing from ignorance may be a very acceptable and even common thing to do in these times. Yet history may judge those levying such arguments as no better than those who routinely scalped savages, since the times we live in are never an excuse for promoting or defending immoral behaviors. Get educated, my friend. Learn to place events into context rather than looking at a calendar and saying “It’s okay…they didn’t know any better yet.” I mean really, do you use the same to defend southern American slave owners from the 1800’s? Once again you assume far more than you have any way to know. This is hardly the first account of this event I have ever read. You chose to make a point of the method of infanticide used. My point was that it really doesn’t much matter what method was used. It was an unprovoked attack. And since I am familiar with the history of that time I also know that the French encouraged these attacks all along the border between what is now New England and New York and Canada. The Abenaki did not originally claim to control that land, The original English settlers purchased the land where Hannah Dustin lived from the Pennacook. This is not a treatise on the right of Europeans to colonize North America. Hannah’s family was born here, and so was she. It makes no more sense to blame colonization on her than it does to blame it on anyone else who lives here today and is not of Native American descent. I am well educated. Thanks for your advice. What I am not is willing to accept that it is ok for one group of people to attack a village, kill an infant and some women, and kidnap other children and women, and not ok for the surviving women and kids to do whatever they need to do to escape these murderers . Please do not respond with any more comments about “savages”. If the French colonists who incited these attacks had done their dirty work themselves, they would have deserved the same. I never called anyone a savage. You brought that up. I am well aware of the terrible things that Europeans did to Native Americans. I think Manifest Destiny was part of a racist agenda. I don’t think any of that would have changed if Hannah had meekly submitted to whatever fate her captors had planned for her. Clearly there is more than one point of view on this topic. You will not change my mind about this by citing how badly Europeans behaved when they arrived here. Hannah didn’t have the Mayflower waiting at a pier for her to jump into when the attack occurred. That ship, as they say, had long since sailed. When the raid occurred, over 75 years had passed since that sailing, in fact. Conservatively, that places these events about 3 generations later. I certainly would not want my choices in terms of self defense proscribed by something my great-grandparents may or may not have done. That is what you are suggesting. 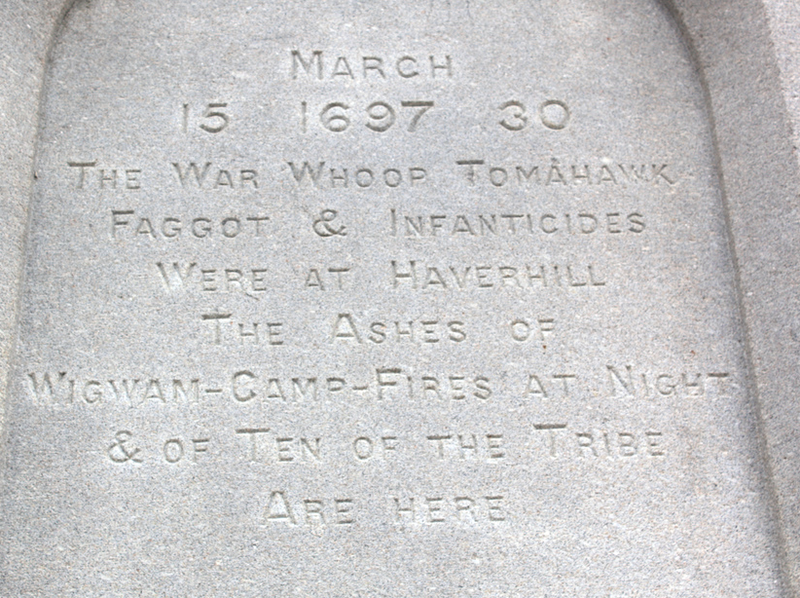 As a sort of footnote, I add that you neglected to mention that the Narragansett and Mohegans were part of the party that attacked the Pequot during the Mystic Massacre. While it was indeed an ugly battle, it was not just Europeans who killed the Pequot. And the leader of the Pequots was later captured and killed not by any European, but by the Mohegans. I amit that the history of all of this that I have read was written by Europeans, and therefore may reflect some of their bias. What I take away from all of this is that humans often behave very badly, and yet are surprised to discover that others humans are capable of behaving just as badly in the interest of self-preservation. I recommend Maslow’s Hierarchy of Needs as a source for explaining why this is so. Moreover, I suggest reflecting on this notion: we routinely erect monuments to MEN who have caused the killing of countless men, women, and children during a war, but a WOMAN is unworthy of a monument, who has endured a far more harrowing experience than on a battlefield, and survived because she and two other people killed the people who abducted them. Racism=bad. Sexism= ok? Perhaps it depends on your color and your gender. Let me make this very simple for you: What if Hannah Dustin and company were kidnapped by whites? Do you think she would have scalped their kids in the middle of the night? Do you think she’d be praised for it? You are right about at least one thing: There is more than one point of view on this topic. This is of course true of everything from slavery to genocide to the pederasty. Yet there is also right and wrong. There is killing kids and there is leaving kids unharmed. All we know for sure is that Hannah and company did not choose to leave the kids unharmed, and yet she is glorified today as an American saint. Her statue is a monument to racism, excessive violence and premeditated infanticide in the name of an allegedly “superior race”. A race which by the way had no right to be here, and who conquered these lands with no more warrant than any other invading force: The warrant of a far off emperor. By the way: YES racism is bad and YES sexism is bad. No it does NOT matter what race or gender you are. Not caring about “first white people’s statue of a woman” has nothing to do with sexism when said statue shows a woman holding children’s scalps and refers to natives as “War Whoop Tomahawk F*gg*ts and Infanticides”. Maybe white people need to go back where they came from instead of trying to tell Mexicans, blacks and others to do the same. Yep. “There is killing kids, and there is leaving kids unharmed.” The white children killed were somehow less people than the Native American children? Nobody in this incident left all the kids unharmed. It’s very ugly. No doubt about that. That two women and a child were able to survive this assault and free themselves is the reason for the statue. I know that the inscription does not read as you claim. In fact, the monument reads: “Hannah Dustin 1657-1737 Famous symbol of frontier heroism. A victim of an Indian raid in 1697, on Haverhill, Massachusetts, whence she had been taken to a camp site on the nearby island in the river. After killing and later scalping ten Indians, she and the two other captives, Mary Neff and Samuel Lennardson, escaped down river to safety.” If someone wrote offensive graffiti on the statue, the graffiti needs to be removed, not the statue. I have never told a single human being in my life to go back where they came from. I personally would have to be cut up in at least 6 pieces to accomplish that goal. My 100% Mexican aunt would find your suggestion particularly offensive. Which parts of her could stay here, and which parts have to go back to Spain? You have made it abundantly clear that in your version of history there is only one group of bad guys and one group of good guys. The world has never been that simple. Since you have devolved at this point into misrepresenting the facts and pretty low insults, I am done responding to you. The inscription I quoted is on the monument in Haverhill. The NH monument uses a word that we now consider an insult, but in the 19th century referred to bundles of sticks used to start fires, which were used during the raid. Tomahawks were used to kill men women and children, and then the houses were set on fire using burning sticks thrown into the house and onto the roofs. I don’t know enough about the habits of the Abenaki during these raids to be certain whether there were any war whoops, but the rest of it is recorded in multiple versions of the event. This is exactly why I said earlier that it is hard to look at past events from today’s vantage and evaluate them accurately. Not even the words have the same meaning today. Wow, just wow. Reading these comments from northern european POV just makes me think you ‘muricans really have some unsolved issues with history. People are forgetting that she didn’t originally scalp them… the went back for the scalps to prove their story. The scalps also were provided as there was a war with Canada and this was proof of the atrocities done to her and proof that band of combatants were dealt with…. I suppose things are simpler with dog tags or video. Thank you for this episode! I have used it for my US History course, and the students enjoyed it. Hannah’s children were saved by her husband Thomas. It is unlikely that Hannah knew her family was safe. Her town was under attack and many others killed. She was a Christian woman put in a war. I think her bravery is to be commended. Afterwards she went back to a quiet life as a wife and Mother. Can you imagine being stripped naked and running a gantlet while being beaten by men. Did the women and children participate in the beatings? This is what Hannah faced as she fled her prosecutors. Hannah deserves to be honored as a soldier for her contribution to the fight against her and her town. Some people are offended……………Really. We have terrorist beheading Americans (and others) now and some people are offended by something someone did over 300 years ago.